Ease of Use (4/10): I'll talk about the folding mechanism later, the actual use of this saw is fundamentally the saw as any other bow saw. 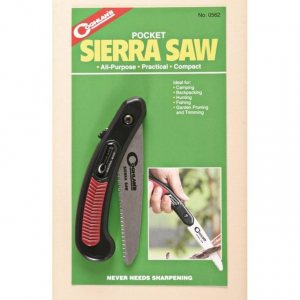 You'd think there isn't anything that Gerber could screw up, but there are a few impediments inherent in this particular design which make it difficult to use. The blade length is very short, which means the logs you can cut cannot be more than about 6" across, and you're always crushing your fingers between the saw handle and the wood you're cutting because the stroke length is so short. The throat depth also reduces your ability to cut thick pieces of wood without constantly rotating the wood to cut from a different angle. 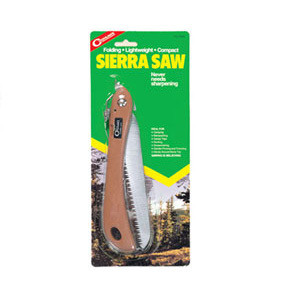 if Gerber was a bit more generous on the dimensions of this saw, it would be a lot more enjoyable to use. A hand guard would also be a welcome addition. 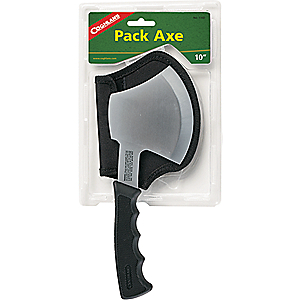 The ideal log width for this saw is about 3" diameter, which you might as well just cut with a Leatherman multi-tool instead of bringing a full size saw. 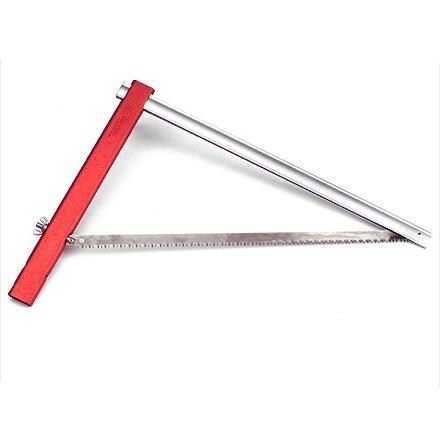 Features (9/10): The collapsing/folding feature of this saw is really neat. I saw it, and I immediately loved the cleanliness and simplicity of the design. The blade is permanently mounted in one side of the saw, so opening and closing the saw is easy and there's no chance of misplacing loose parts. The reassuring *SNAP* of the handle as the blade is tensioned and locked in place makes you feel like this saw means business... but it sets itself up for disappointment. Construction & Durability (7/10): As I said above, the saw frame feels rigid enough when you snap the handle down to lock the blade into place. I have even spun the tensioning screw/hook to the tightest position to make the blade as rigid as possible... but once you're cutting, the blade flexes and binds all the time. I think a better quality stiffer blade would solve a lot of the problem, but I think the saw frame could use more reinforcement too. Conditions: I have had this saw for over a year now, and I have attempted on multiple occasions to use this saw on softwood and hardwood. 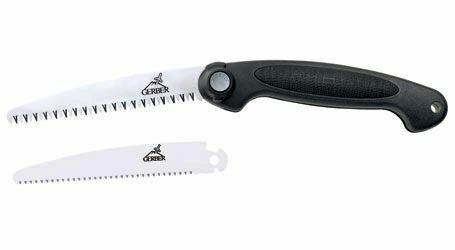 I am normally very impressed with how effectively a standard bow saw fells limbs, and would usually opt to use a bowsaw over using a chainsaw... but this saw from Gerber is a disappointment, and I would rather bring a heavier and larger saw because it does not perform to my liking. My Advice: If you like the novelty collapsing function of this Gerber Freescape camp saw, I recommend you turn your attention to the AGAWA CANYON BOREAL 21 SAW... I haven't used the Boreal 21, so I can't speak to its quality, but the deeper throat and longer blade would be undeniable improvements over the Gerber. 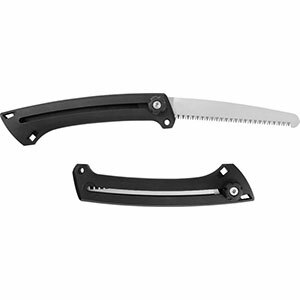 Otherwise, why not try a foldable pruning saw similar to those available from Bahco or Silky? I think you'll be much more impressed with those. Thanks for sharing your experience with this Gerber saw, DECKEL. Too bad it didn't work out better. 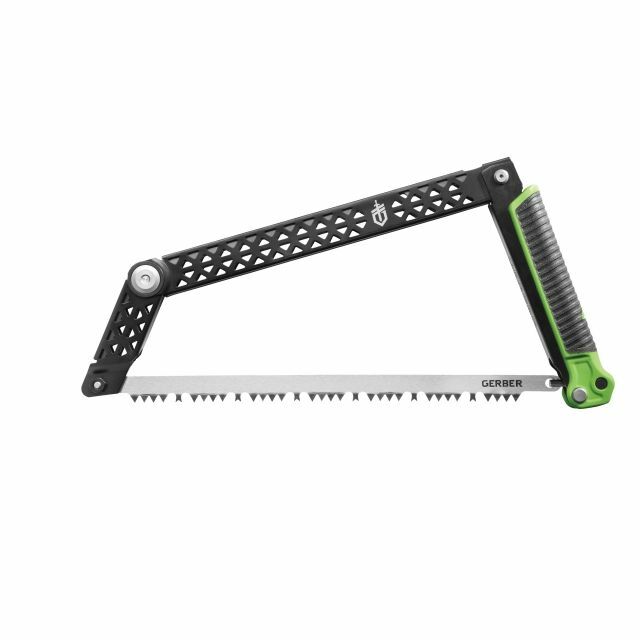 The Gerber Freescape Camp Saw is not available from the stores we monitor. It was last seen January 31, 2019	at REI.